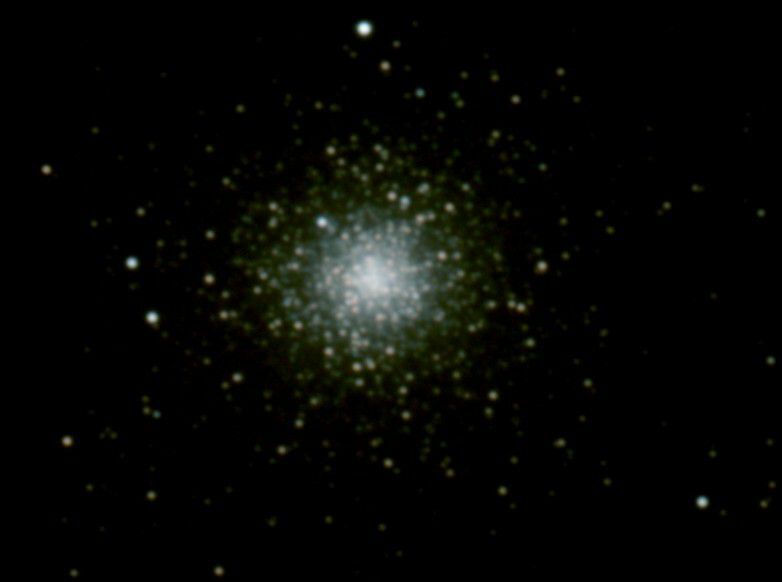 M2, which is the second object in the Messier catalogue, is a globular cluster in the constellation of Aquarius. Discovered by Maraldi in 1786, it has about 150,000 stars and is very dense. It can be seen with the naked eye in a clear sky; its apparent diameter is equivalent to half a full Moon.